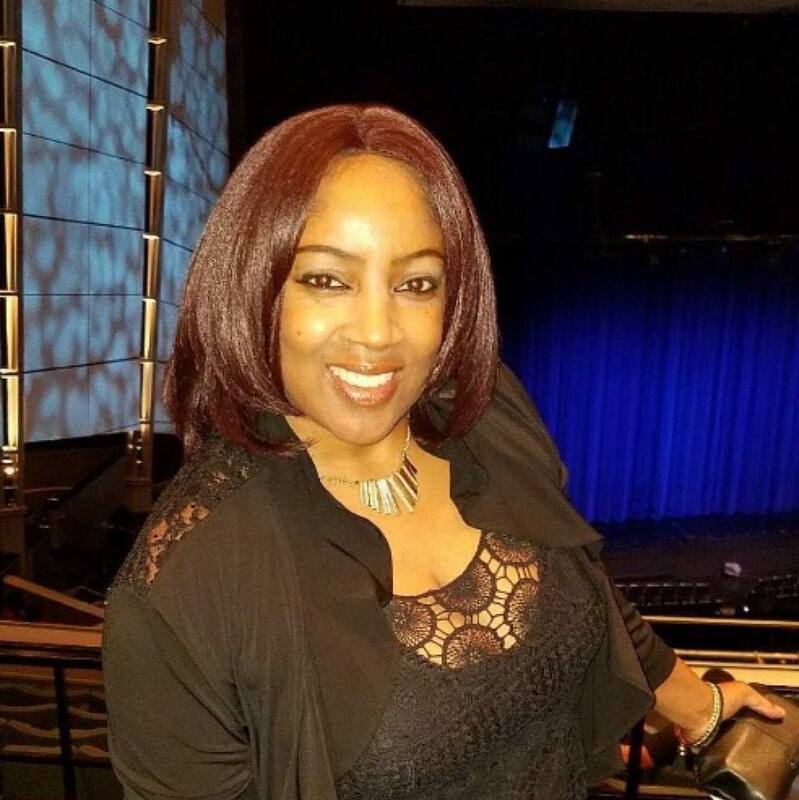 Tawana Lee-Terry (Misty Blue) is making her HPCP debut as T-Anne (the Stage Manager) in Anton in Show Business. (TICKETS) She grew up on the south side of Chicago in the Roseland, South Shore, and Hyde Park areas, and is a writer and a mother of three. Q. How did you find out about Anton in Show Business, and what made you decide to try out for it? Tawana: I saw the audition flyer taped to a mailbox. I love to act and wanted to give it a shot. I went in for the audition and about a week later, was offered the role of T-Anne. Without hesitation, I accepted the role. Q. When did you start getting interested in theater? Do you have a favorite show you’ve done, or a favorite part that you’ve had? Tawana: Since childhood, I’ve loved to both write and act. I wrote skits and short stories in high school and my classmates were always my cast. In my junior year, I entered a writing contest and won first place. In the last few years, I’ve written more skits and had them performed at various venues — one being the Carter G. Woodson Library. For my fiftieth birthday, I launched my first novel and adapted a play from the book, which was performed at St. Elizabeth’s Hall as a part of the celebration. That was a wonderful night. My favorite acting role was when I did a one woman show, where I played a young Hattie McDaniel, struggling to find roles other than being a maid or slave. Her struggles garnered her an Oscar — the first African American woman to win the coveted award. Q. Your character T-Anne is partly inspired by the Stage Manager from Thornton Wilder’s Our Town; but her role in this play is very different. What do you think T-Anne really thinks of this play she’s stage managing? Tawana: T-Anne thinks it’s a mess and can’t believe the antics that take place during rehearsals. We can’t keep a director, the funding is not secure, and one of the lead characters is dealing with a serious health issue that seems to be minimized in the story. Q. What’s the most challenging thing about playing T-Anne? What’s the most fun thing about playing her? Tawana: The most challenging will be the monologue. It’s long and I say things that African American people typically don’t say. Once I’m past that, I’m OK. The cloak and I are having some issues, but we’ll get it together. The most fun thing about playing T-Anne is being tough. I would like to be a little tougher, but must follow the director’s lead. Q. A lot of Anton in Show Business is about the experience of women in theater. Is there anything about what these characters go through that resonates with your own experience of being a woman who acts? Tawana: I have experienced some of the issues these women go through – working a job to pay the bills, instead of following my passion. Q. Is there anything else you would like us to know about yourself or your character? Tawana: My character and I are total opposites. T-Anne’s a tough cookie. Tawana’s a softie, but can be tough if the situation calls for it. Writing and acting are therapy for me. Having been abused as a child, low self-esteem caused me to enter into abusive relationships as an adult. Writing and acting became my peace … my tranquility. I’m known as Misty Blue (my favorite color) on social media. That’s both my PIN and stage name. I’ve only just begun.